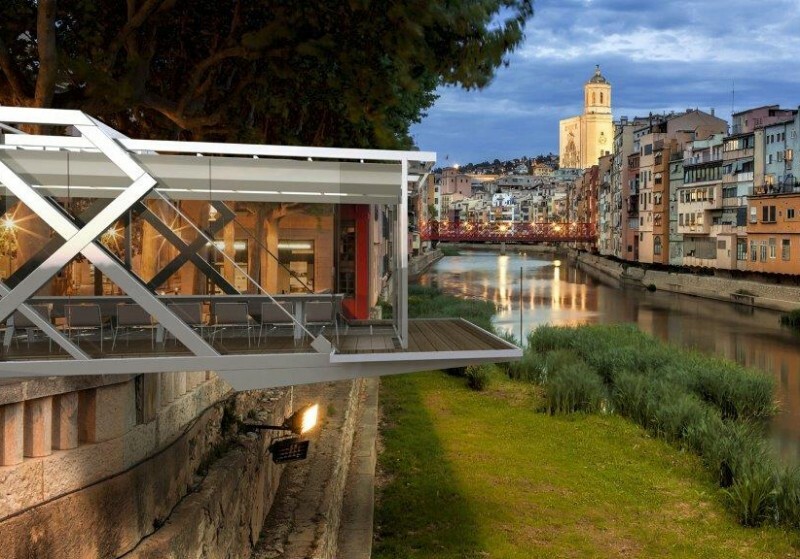 From mid-July a new space dedicated to gastronomy will open its doors in Girona. Located beside the Pont de Pedra (stone bridge), the space is expected to remain open for almost a year. The space, whose exterior design reflects that of the city's Pont de les Peixateries Velles bridge built by Eiffel, can accommodate a maximum of 18 diners and will host various local chefs who will be taking part in this show-cooking initiative. The city of Girona is in charge of launching this project, which has been designed as a showcase for the exquisite cuisine of Girona and Catalonia as a whole; an opportunity to highlight Girona's importance as a gastronomic centre, and as a platform to leverage this region's rich cuisine to boost its economy. It is also intended to provide a stage for some of Catalonia's best chefs to present their creations to small groups of diners. Vol Espai Gastronòmic will also offer different complementary activities to raise awareness of Girona's gourmet food and wine produce. These activities will include cooking courses for adults, dessert workshops for children, tastings of local products, among others. The aim of the project's promoter, the company IXCE, is to export this gastronomic space, which is a pioneer in this country, to other cities. Reservations (for groups and individuals) are now being taken for July, August and September.